that's what I thought. I have looked at a few TGG figures before, but didn't recall seeing this one. Great paint job btw. Wow. That red and black is awesome. Agreed, awesome job there. Great colour choices. I've got that model too, as well as a load of others from the 2 Kickstarters ha. Might paint some one day! Hellgirl looks really good and I'm heartbroken that I will never get to paint one! It does make me feel better knowing that you did such a killer job on it! BAM is right about the level up too. TGG sculpts look amazing and one of these days I'm going to give one a shot. I really like the scenic base like others have mentioned too. Will you be painting anymore TGG minis in the future? Long time no comment CC...apologies. well personally i love the raging heroes sculpts and the casting is pretty damn good too, not to say it’s perfect, but really good... in saying that a couple of their figures I have are absolute perfection, such nice casts. So to answer the question, yes I have a few more TGG figures which I will be making a start on soon... I just love them!!! @kuribo - as for the devil girl, if you want a copy I can always ask the question, I’m pretty sure she would be more than happy to print you one, let me know if your keen??? 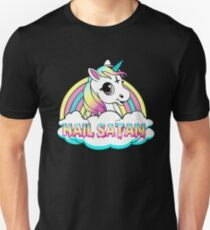 Maybe you could work the "Hail Satan" text in if it fits? Maybe across the back near the top or bottom? Looking forward to the updated pick of the devil girl. Just waiting on a plinth to arrive for devil girl, so going to wait to fix it before applying the finishing touches. in the meantime just having a little play around for fun with a couple of crappy little figures I had laying around, still quite a bit to do to get it looking half way decent, but hopefully will turn out looking pretty cool Here’s where it’s at anyways??? I like this a lot CC. Very dramatic lol scene!!!! A success !!! Cool diorama. You really got the plants to be believable for the scene. Big thumbs up from me. You’ll hear this a lot some folk make commotion about either drilling out the barrel or black out the barrel. You probably were going to do it . There’s nothing to add regarding the painting... it’s extremley well dine bud!!!! The left gobbo is now overshining the right one. The skin is looking great. The black leaves at the front are kind of not 100% fitting to the scene... what's the reason for putting some "dead" plant into the scene? Besides that the base is just looking awesome!! !